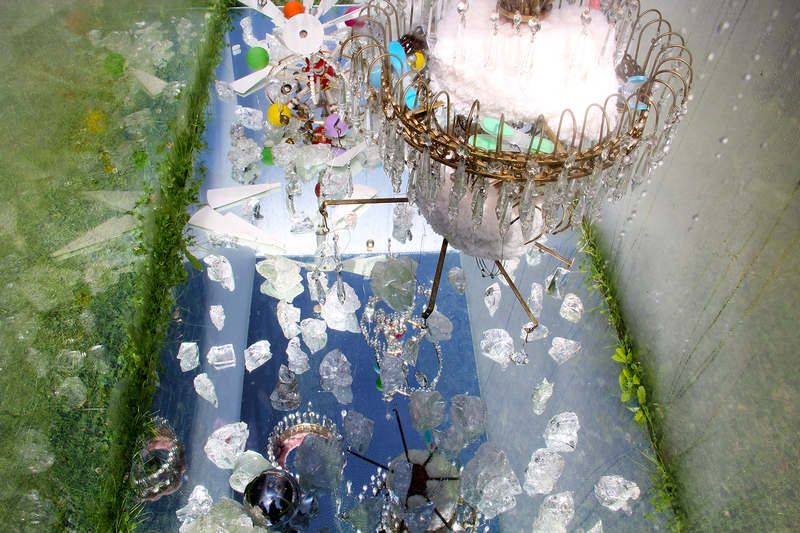 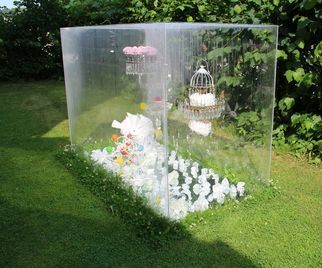 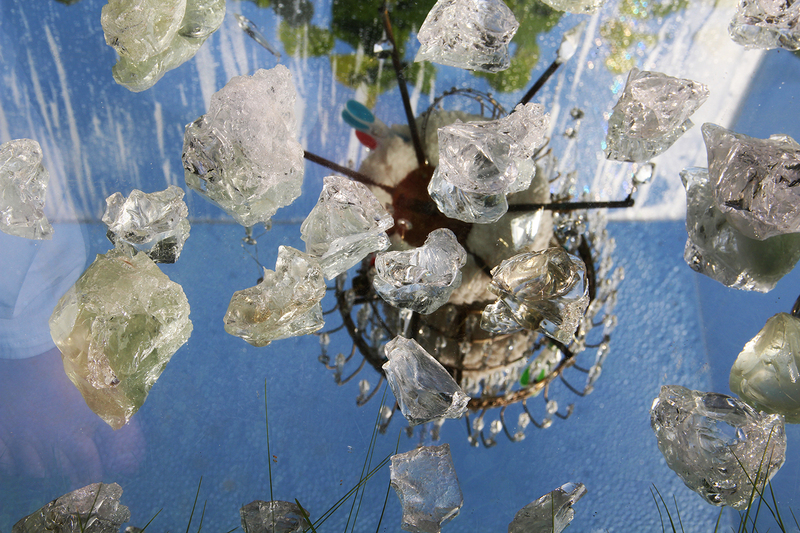 HEAVEN is a new site-specific sound and climate installation by Julie Ericsson. 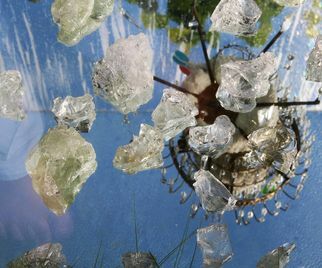 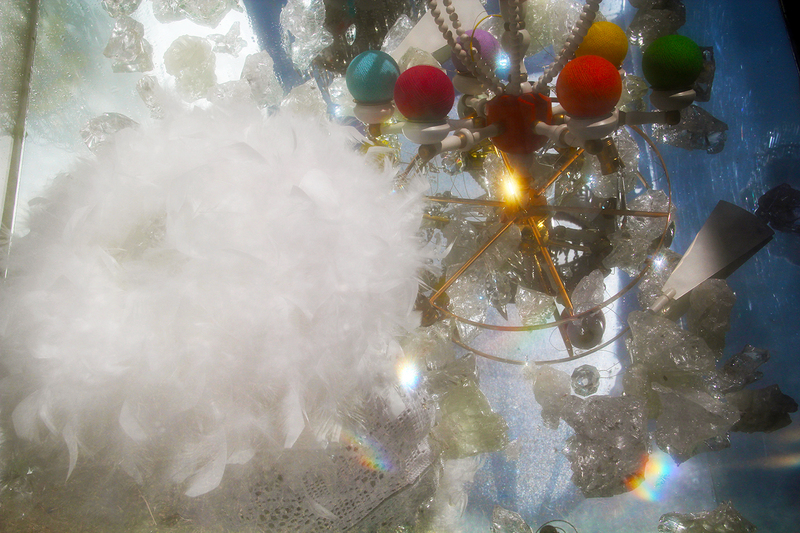 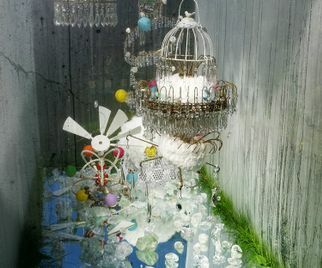 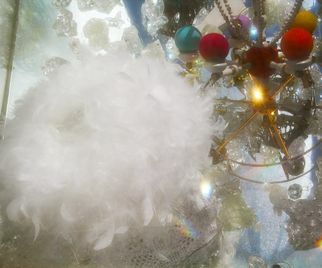 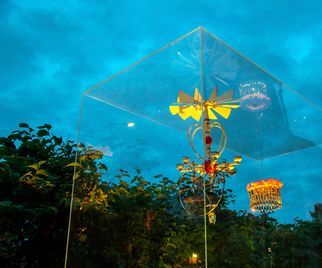 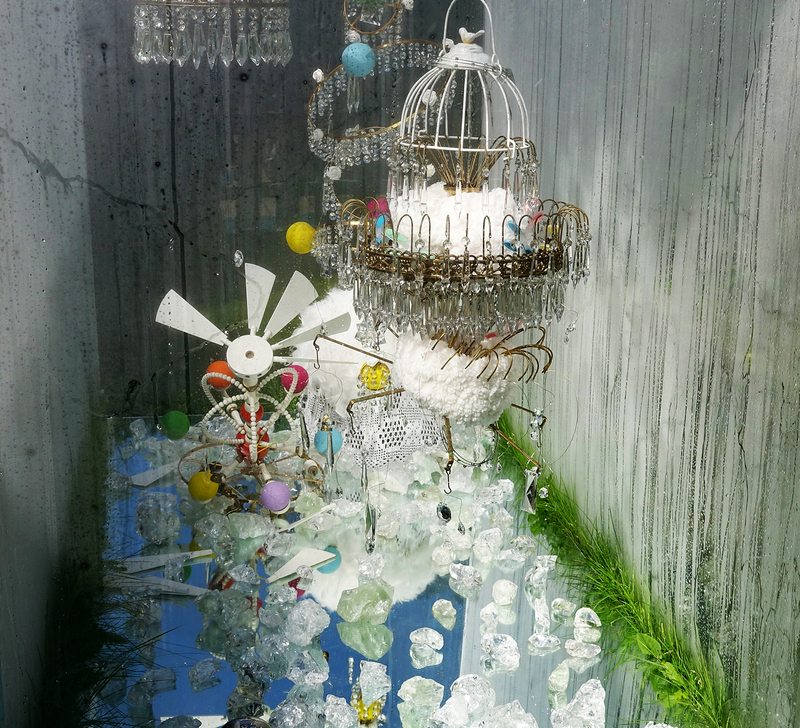 In a large cube of plexiglass sculptural mobiles of prisms and reused materials create an universe of light and sound. 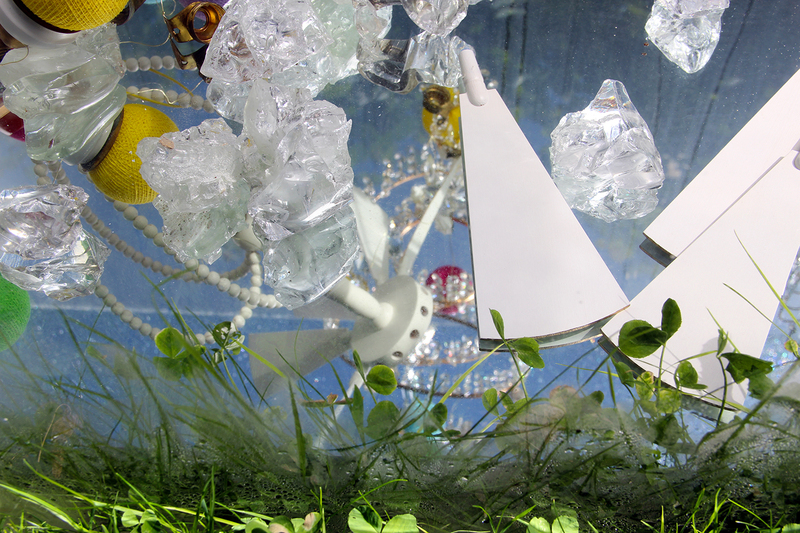 Constant climate changes as a consequence of the impact of nature take place in the sealed space. 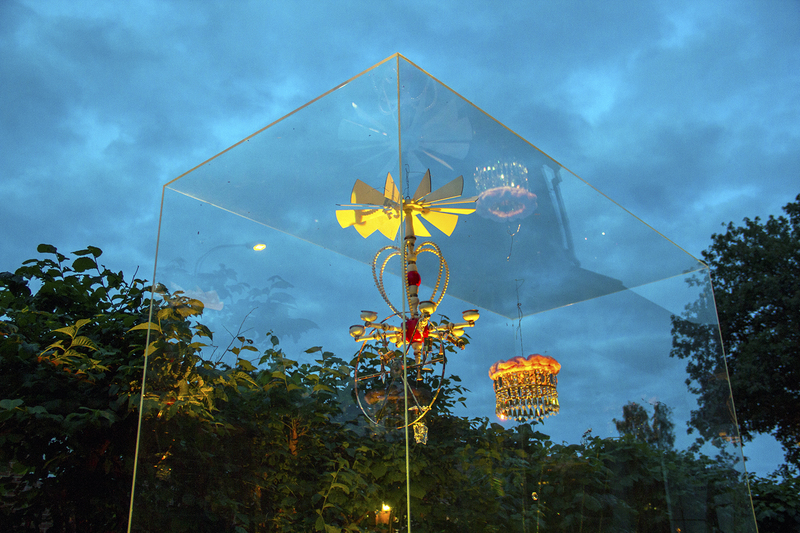 This creates an ever-changing installation in the interplay between light, sound and the impact of nature. 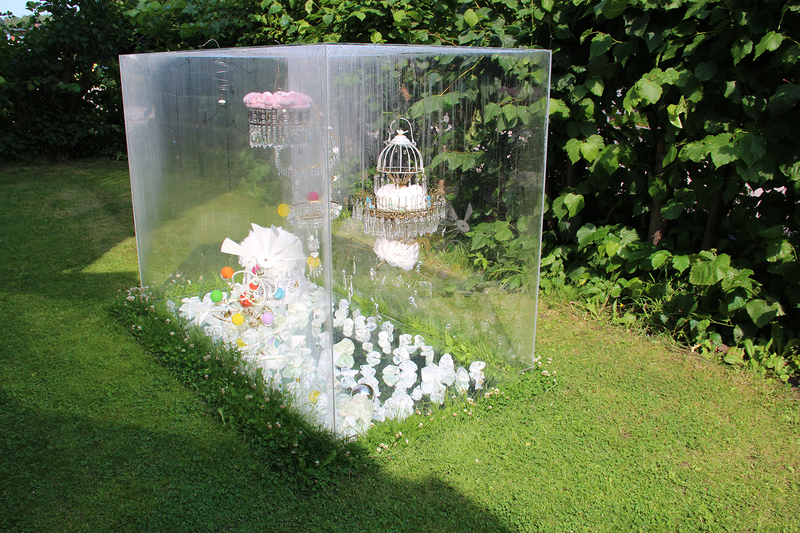 "Heaven" was created for Bzzz International Sound Art Festival in 2015 and is now a permanent installation at Harp Art Lab, Sweden. 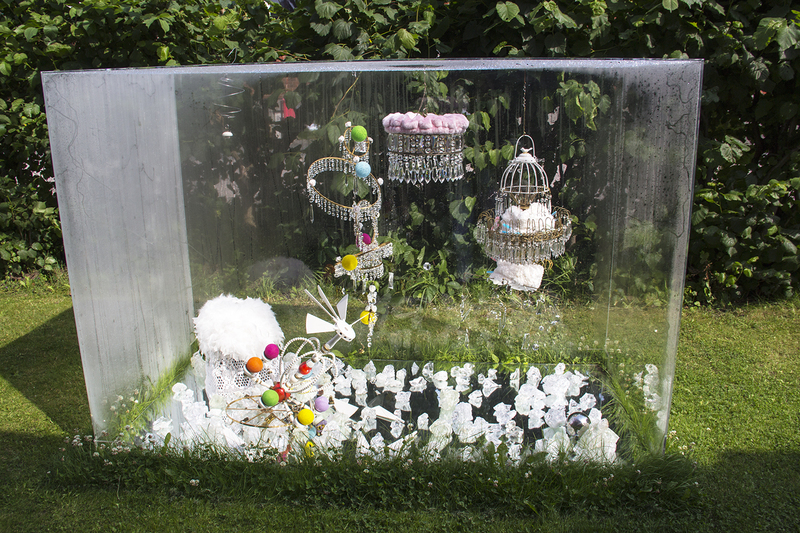 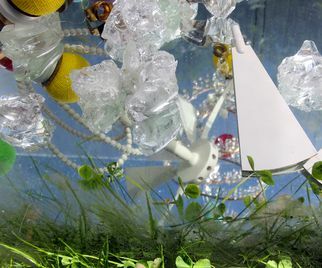 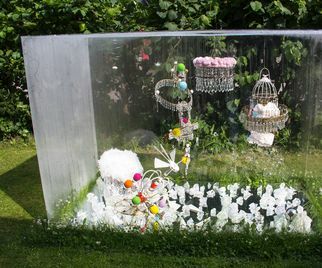 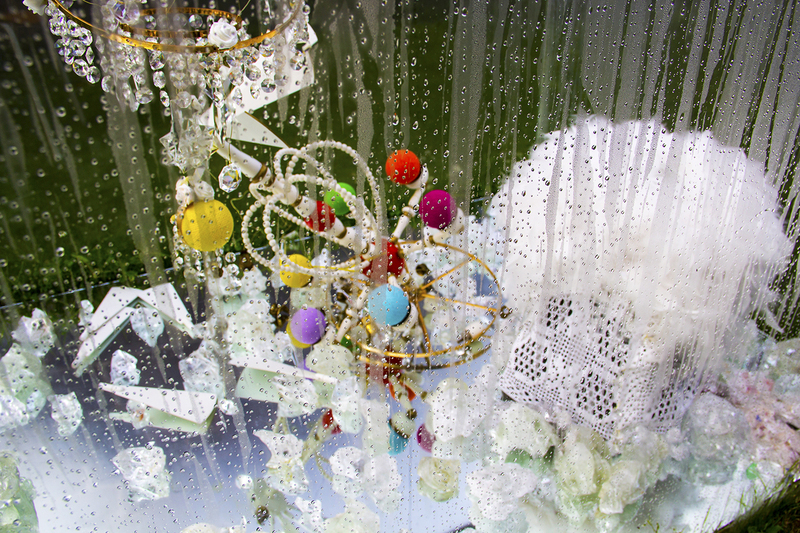 The project is a work in progress where the artist is documenting the ongoing weather and climate changes in "Heaven". 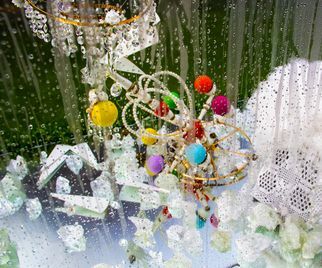 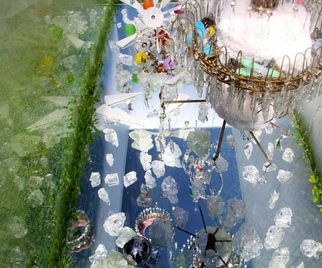 From this work a new series of photos, videos and installations are produced for public spaces, gardens and indoor environments.